Laura takes her inspiration from visiting cities and captures her ideas initially through photography. On a single visit to a city she will tend to capture between 500 -2000 moments on camera. As well as photographing for research Laura will spend a large amount of time people watching and trying to understand how the people of the city function and move about their daily lives. She divides her attention between the physical spaces colour and shape of a city and the cultural economical and social behaviour of a city, eventually being able to combine the different elements and making visual connections. Once back in the studio she will then create lots of small illustrations usually drawn up from scenes and ideas she's captured whilst visiting the city and this creates the starting point for the cityscape. Scenes are then overlapped and merged to layer on top of one another creating a shared scenario this creates the feel of city life with individual moments making up the bigger picture of a metropolis existence. Once the collaged original is created the work is scanned to a computer to then re resized for prints. 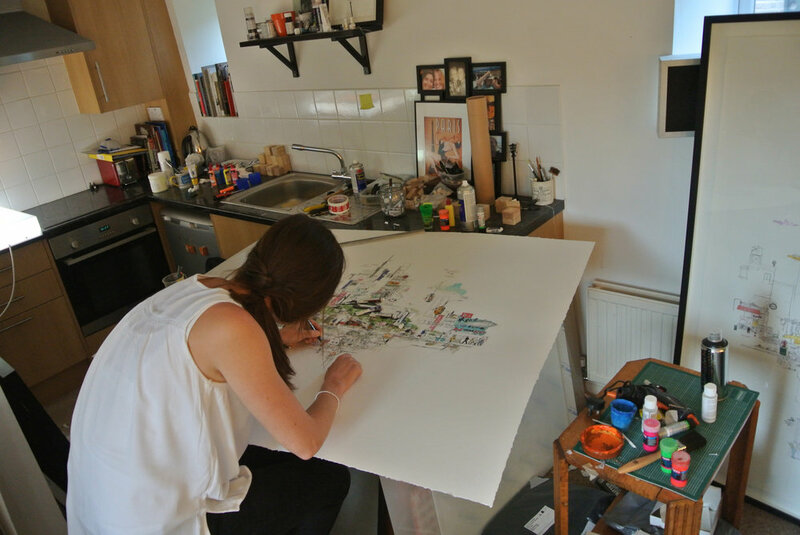 What sets Laura’s limited edition prints aside from usual print replications is her technique to work back over the print with an overlay of pencil watercolour and collage making it unique and original. Laura’s print series are of low edition number making them highly sourced and collectable. 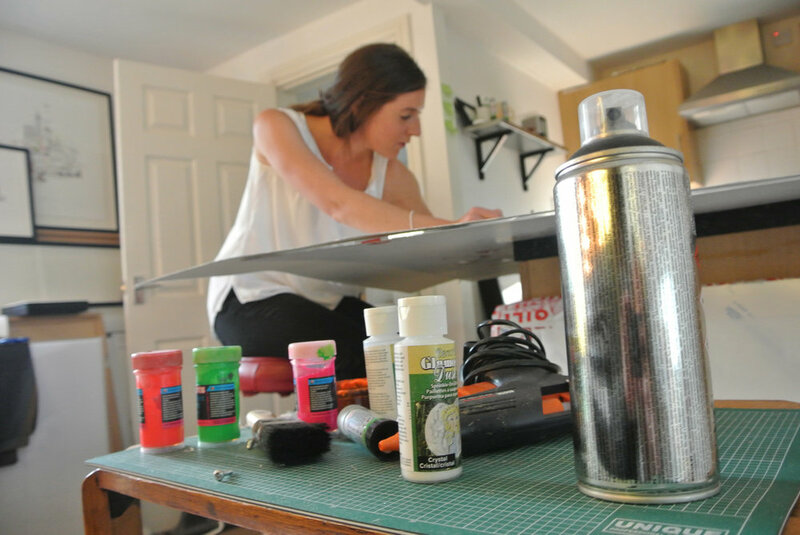 Laura prints onto archival fine art paper and overlays the printed artwork with a variety of mixed media. Watercolour pencil and collage are used to bring the print back to life with individual touches added to each print in the edition making each one in the series unique. Foiling is used to bring light back into signs and other everyday elements. Glow in the dark paint is used to illuminate underground train carriages lamp lights and neon signs. With a crazy amount of detail and thought Laura's works will keep you intrigued and fascinated. Always giving you something new to discover with every visit.